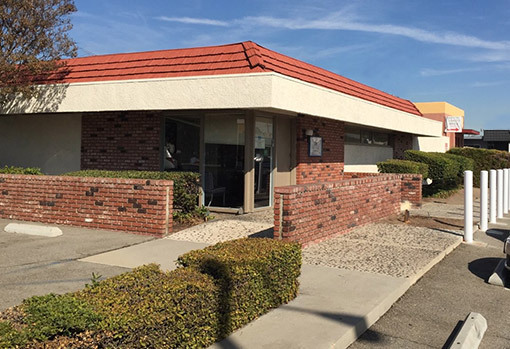 Affordable Animal Hospital in Covina was established to help our friends and neighbors in the Covina area have healthy, happy pets. Your pet is a member of your family and we understand – our entire staff is made up of committed animal lovers! Our goal is to provide affordable, high quality vet services. At our animal hospital in Covina, our friendly, dedicated staff can discuss your options for your pet’s condition so you can make an informed decision about treating an illness or injury. Our Covina animal hospital uses the most modern veterinary technology so we can treat your pet more effectively. We also offer standard vet services and products – and only use the most trusted and proven treatments. Affordable Animal Hospital in Covina: We Have Your Pets Covered! Keep your pet up-to-date with vaccinations that will protect against dangerous diseases and illnesses. 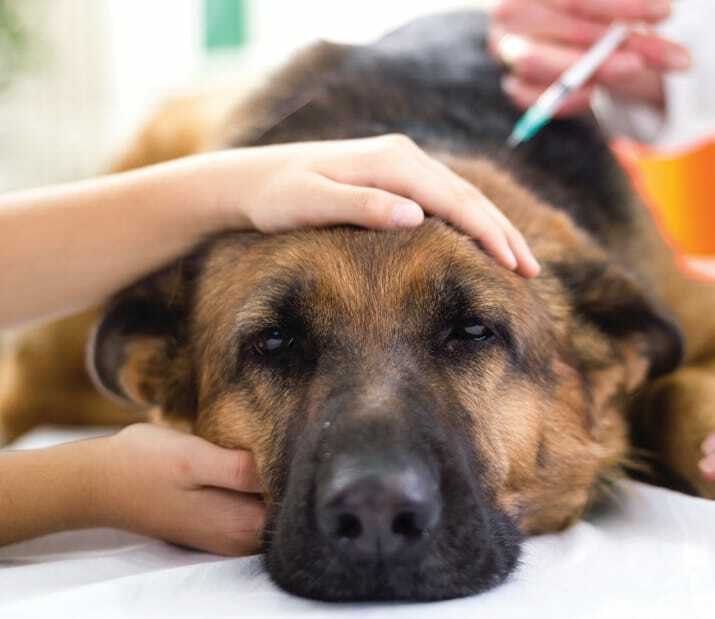 If you have a dog or cat that spends some of its time out-of-doors, he or she is exposed to more risks and keeping vaccinations current can help keep them safe from harm. We offer a full range of core vaccines – those recommended by qualified veterinary doctors as the basics for every pet. We also provide non-core vaccines, or those that are appropriate for certain breeds or circumstances. Nothing is more stressful – and potentially tragic – than losing your pet. While we all appreciate news stories about pets that travel far and are finally reunited with an owner, the truth is that thousands of pets are lost every year and never found again. Microchipping your animal makes it possible for your personal information to be saved on a digital “chip” which is painlessly inserted under your pet’s skin. Should your dog or cat get lost, the Humane Society and many other groups will immediately see who you are, where you live, and reach out to you to inform you your pet has been located. Add microchipping to your pet’s care plan – everyone in your family will appreciate it, particularly your pet when he or she is reunited with you. While no one loves the idea of neutering or spaying a pet, it must be done if you want a healthy, happy pet for the long term. Pets that are neutered or spayed are easier to control and live longer lives. In Los Angeles County, a law was passed that requires all dogs and cats to be spayed or neutered. This procedure has the benefit of keeping down the numbers of unwanted pets that must be euthanized. Ensure your pet is neutered or spayed at the right time for the health of the specific animal. Neutered pets live longer and are at lower risk for certain health problems. A new puppy or kitten is an exciting time – but it has its challenges! You need to train your furry friend and set him or her on the road to a long, healthy life. Our puppy and kitten care programs guide you through the various vaccinations your pet needs, with screenings, tests, and added services such as microchipping -- so the little guy can be found if he or she gets lost. A surprising number of pets are suffering with dental problems. While humans may wait until the last minute to go to the dentist, they can speak and communicate the location of a pain. Your pet can’t! We help to keep dogs and cats healthy with regular teeth cleaning so your pet doesn’t develop cavities or other health problems associated linked to oral health. We use an advanced digital system for pet X-rays. While we can discover many health problems visually, others must be discovered with X-rays. We make it easy on your pet with our digital X-ray system. It is safe and effective in identifying and diagnosing health problems after an accident, or if your pet appears to be suffering from a health condition. Some pet health conditions require surgery to resolve. Our highly-skilled veterinary surgeons are here to help bring your cat or dog back to health. We offer a full range of treatments, including neutering and spaying and complex procedures such as repairing a broken bone, dental surgery, cancer surgery, internal surgery, or repairing damage from injuries. Your pet should have a yearly health checkup. These appointments are important for the future health of your pet, as early diagnosis means more effective treatment. Our routine vet exams check all your pet’s vital systems to ensure he or she is healthy. If any condition or illness is identified, we are here to help bring your pet back into a state of better health. Accidents and illnesses can happen anytime, anywhere. Our pet urgent acre services can help you with a range of sudden problems, including snake bites, illnesses, accidents, and injuries. Is your pet showing the symptoms of an illness or injury? Contact us right away so we can help. Our team of veterinarians is ready to help your pet in with pet urgent care. That means you can schedule a last-minute appointment and bring in your cat or dog for treatment. For non-emergency pet urgent care, we are here to help. If your pet is showing the symptoms that a health condition may be present, connect with us at once so we can diagnose and treat the problem before it gets worse. Dental care for a pet? Is that a form of pampering that is reserved for only the most well-to-do and devoted animal lovers? Far from it. The fact is, dental care is a basic, and critical aspect of ensuring your pet stays healthy for as long as possible. At Affordable Animal Hospital in Covina, we provide a range of services to help you with this issue, from teeth cleaning to teeth extraction. To stay on top of your pet’s dental health, you need the trained eye of a professional. The best time to address dental issues is early in their development, and it’s not likely that you would be able to diagnose an emerging problem by looking in your pet’s mouth. Imagine what it would be like if every bite of food you attempted to chew caused you pain. What kind of impact would that have on your willingness to eat enough to meet your needs? Now imagine that your mouth was the only tool you had to deal with your food in any way – no knives, no forks, just your mouth. That’s the life your pet leads. At Affordable Animal Hospital Covina, our team of professionals has been saving the lives of pets for over two decades. We invite you to bring your furry friend to our Covina office for a regular checkup, vaccination, for puppy or kitten care, or to treat an illness, injury, or condition. You can trust us to provide you with the entire scope of veterinary services and to be here for you and your pet for the long term.